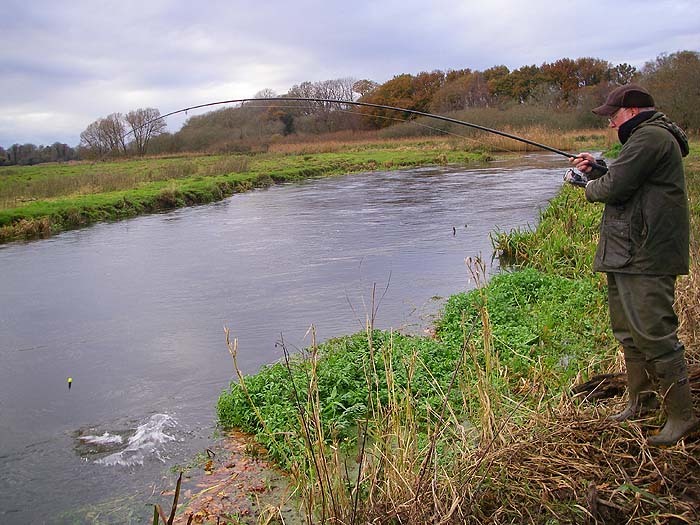 It was mild last week and for once the river was pretty clear so I took advantage of the conditions to have a couple of short piking sessions. The first time I went on my own to try out a place that I haven't been to since last March. My bait had only been in the water for ten seconds when it was taken by a nice pike. I unhooked it without lifting it onto the bank but it was a good ten or twelve pounds and in mint condition. After that I only had a couple of smaller fish one of which came unstuck after a short battle. The next trip was with Nigel. We met at 13.00hr and caught a few baits by fishing maggots. 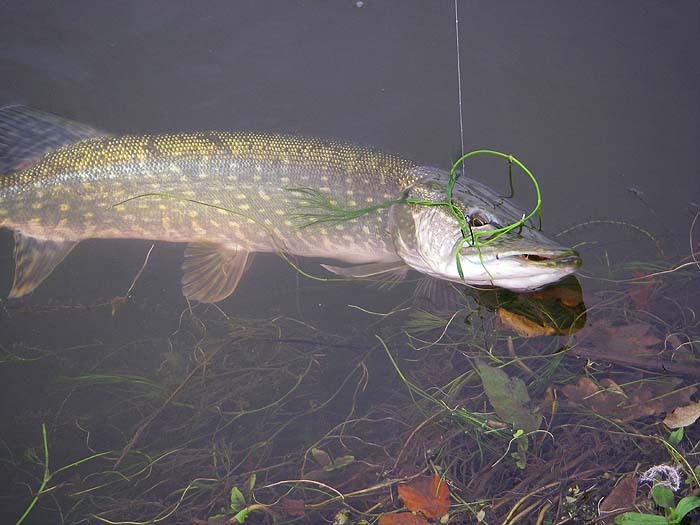 the trouble with catching bait is that you easily get carried away and find that an hour of your piking time has passed without you noticing. Anyway, we eventually dragged ourselves away from the float fishing and went over to the main river. I was wobbling a dead bait with just a trace and a circle hook and Nigel had a similar set up but float fished a dace. 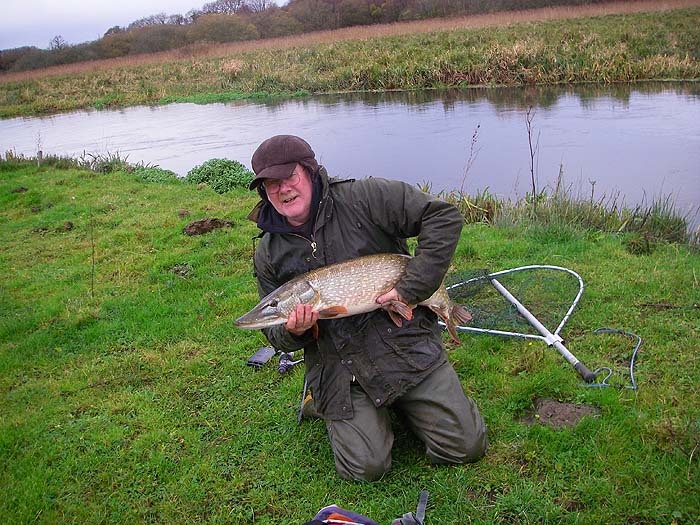 It was not long before I had a take in the first bankside pool which my pal netted for me. A reasonable fish of just about double figures. Nigel then dropped his bait in about ten metres downstream of where I'd had my pike. A minute or two later I heard him call "Fish!" so I picked up the net and watched the action. The fish was a real beauty and took a while to subdue before I was able to net it. We guessed that it was about twenty and for once we got it exactly right. After subtracting the weight of the net it was precisely twenty pounds. A beautiful sleek, plump pike. We fished on for a while and hooked a couple more pike but nothing to touch Nigel's first one. I expect he'll have trouble keeping up his average at twenty pounds this winter.